BleachHouseLibrary.ie: "Searching For Steven" by Jessica Redland. Review and author feature. 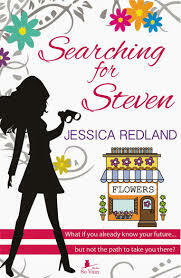 "Searching For Steven" by Jessica Redland. Review and author feature. This debut from Jessica Redmond is a little slice of chick-lit heaven. It has all the right ingredients; humour, romance, set-backs, misunderstandings and lots of best friend advice. Turning the pages of this novel is like picking up the phone to catch up with your childhood friend, who you haven't seen for a while. It's comfortable, heartwarming and endearing. Sarah is far from perfect. She worries about her weight (don't we all), settles for the wrong men and depends a lot on her two best friend's opinions. When she relocates to her hometown, leaving her London life behind, she begins the search for Steven, which results in some hilarious encounters. Through it all, she has friends Elise and Clare, who are polar opposites but who have Sarah's best interests at heart. Aunty Kay is a wonderful character and I wish she was part of my life! The writing is light, warm and flows nicely. Like all Rom-Coms, there is predictability, but the humour and clever character interaction keeps you hooked. The florist shop sounds divine and the local pubs and restaurants, featured in the book, make Sarah's hometown seem idyllic. My debut novel, Searching for Steven, is now available in both paperback and eBook formats. My debut eBook novella, Raving About Rhys, was also released last month so it’s a very exciting time for me right now as I experience my dreams coming true. When I started to write, I was very clear on my premise for Steven: heroine receives a clairvoyant reading which predicts that she’s about to meet the man of her dreams called Steven. I knew that I wanted my heroine, Sarah, to become a bit obsessed in her search for Steven. I knew that she’d have a couple of best friends and that one would believe in the predictions (Elise) but the other wouldn’t (Clare). I also knew there’d be a HEA. How I was going to achieve this, though, was a bit of a mystery! I confess that I didn’t plot out Steven. It didn’t even enter my head to do so. My strategy was simply to write and see where it took me. 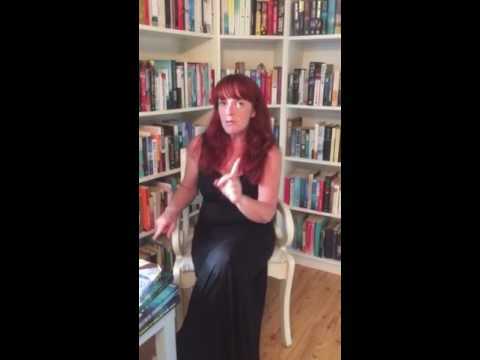 Looking back, this was an exceedingly time consuming approach, but I think it was the best approach for me at the time because it helped me find my voice and the process I wanted to follow for working on future novels. The beginning of Steven caused me no end of problems. I’m not exaggerating when I say that I had about forty or fifty different starting points. One version started with Sarah phoning a telephone clairvoyant and another started with her meeting a clairvoyant face to face. It then struck me that it didn’t make sense for Sarah to become obsessed about searching for Steven when there was no evidence to suggest that this would come true. The clairvoyant reading needed to be an old one and everything else mentioned on it needed to have come true, making the final prediction about meeting Steven more plausible. Therefore, I couldn’t start with a reading being given, although I did start with various angles of discovering or listening to the reading. I knew that Sarah was going to leave her home and boyfriend, Jason, in London and start afresh back home on the North Yorkshire Coast where she’d run her Auntie Kay’s florist shop. Initially, I planned that she’d inherit the shop because Auntie Kay had died. I had loads of starting points around this – receiving a phone call that Kay had died, attending the funeral, attending a will reading, having a drink with Elise and talking about what was in the will reading – to name just a few of them. At the time, I met with a writing friend on a weekly basis and we reviewed each other’s work. She made the point that it was a shame that Auntie Kay had died as she sounded like a great character. I’d been thinking the same. I’d really grown to like her, but I needed Sarah to run the shop. What if Auntie Kay retired instead of died? That would work! So all the starting points involving Kay’s death were scrapped too. Other variations of the start included a chapter based at work where Sarah’s manager suggested that she should probably end her relationship instead of hiding out in the office every night to avoid spending time with Jason. Another had her in primary school meeting Elise for the first time. Another had her on a tube journey home encountering a hen party and realising her relationship with Jason was never going to lead to marriage. I had a sub plot of failing to be considered for promotion as the starting point. And pretty much every other scenario you can think of! When my edits came back from my publishers, So Vain Books, my heart sank when they wanted me to change the beginning. The story started with a thirteen-year-old Sarah finding her Uncle Alan’s dead body. It was certainly a dramatic start to the story, but I’d had a few reservations as to whether it set the right tone for the rest of the book. So Vain felt exactly the same, but they loved the backstory about Uncle Alan and suggested where this could be incorporated instead. I’d written a previous chapter in which Sarah went out for a meal with boyfriend Jason expecting a marriage proposal only to receive something very different and very unexpected. It needed a few tweaks, but this provided a much more fitting start to the book and I finally felt like I’d overcome my nemesis. The changes suggested by So Vain Books were absolutely spot on. The ending of Steven wasn’t quite as challenging to write. I get frustrated with books that seem to rush the ending so it was very important to me that this didn’t happen in mine. I knew from the outset who the hero was going to be, but how they finally got together was something that also had several variations, although nowhere near as many as the beginning. I also wanted to make sure that I tied in the clairvoyant reading at the end and either proved or disproved it. The idea behind Steven is based on a real-life experience in which I received a prediction from a clairvoyant that I was going to meet and marry someone called Steven, but so is something that happens near the end. This time I’ve borrowed from an experience that my older brother, Mike, had. I don’t want to say too much about this as it would be a huge spoiler for anyone who is planning to read Steven but, for those who’ve already read him, it’s linked to the gift Sarah is given in the final chapters. It seems fitting that the novel both starts and ends with something that really happened. When it came to writing the sequel, Getting Over Gary, I planned, planned and planned some more. It didn’t stop me changing a few things along the way, but we’re talking tweaks and minor changes instead of fifty different starting points. Phew! I’m not sure I could go through that again! Thank you so much for the lovely review! My heart stopped beating for a moment when I read your last paragraph. That is such a touching thing to say and has absolutely made my publication day. Can't stop grinning now.